We are entering the homestretch. 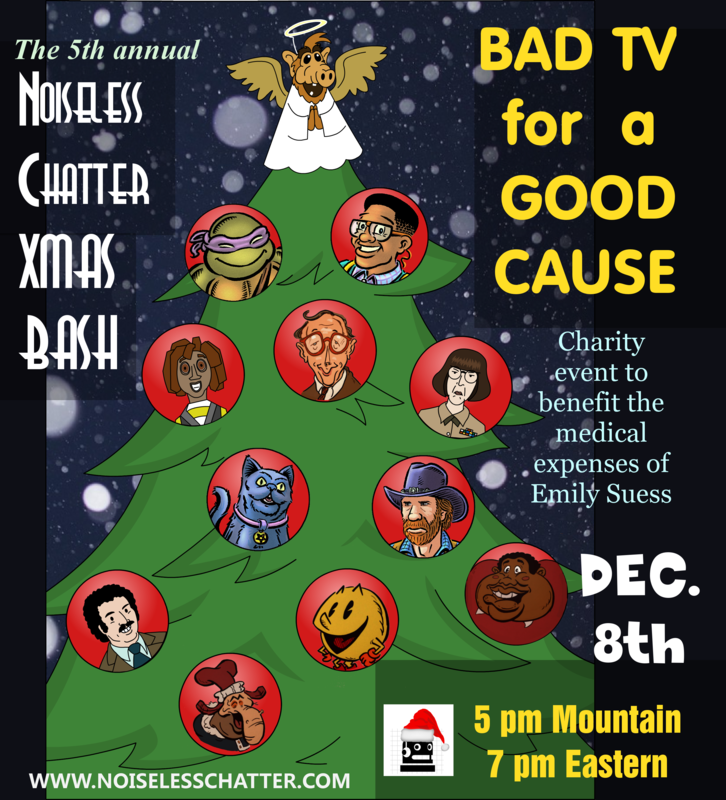 The 5th Annual Noiseless Chatter Xmas Bash! is Friday! As in, five days from now…if you don’t count today! Even though you should! Because EVERY DAY IS A GIFT YOU SHITS. Just visit this very website at the appointed time, and you’ll be there! In fact, I’ll probably post the link an hour or so early, just to give folks time to register a chat account and settle in. – A surprise free gift for everyone who tunes in! All of this (…and more!) while benefiting the medical expenses of Emily Suess, a dear friend and important Xmas Bash! figure who was diagnosed this year with a brain tumor. Tune in. Laugh. Have fun. The Noiseless Chatter Xmas Bash! has been the best night of the year for everybody who’s been brave enough to attend. It’s a one-shot deal, so don’t miss out. You’ll be glad you didn’t! I hope to see you all Friday. Previous Previous post: Xmas Bash 5! Updates! Updates! Amanda! And Updates!